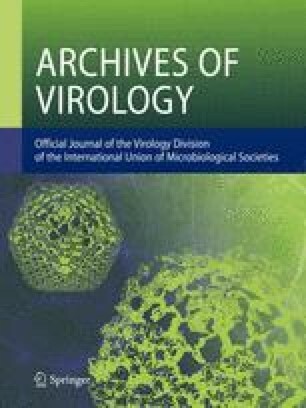 Human polyomavirus JC virus (JCV), the causative agent of progressive multifocal leukoencephalopathy, is ubiquitous in humans, infecting children asymptomatically then persisting in renal tissue. Since JCV DNA can readily be detected from urine, it should be a useful tool with which to study the mode of virus transmission in humans. Based on this notion, we examined the extent to which JCV was transmitted from the American to Japanese populations in Okinawa Island, Japan. (A population of about 50 000 American soldiers and families have been stationed in Okinawa since 1945.) Four JCV types (A to D) were identified in American populations in U.S.A., whereas only type B was prevalent in elder Japanese in Okinawa who had reached adulthood by 1945. Thus, types A, C, and D served as indicators of the transmission of JCV from American to Japanese populations. We then examined whether types A, C, and D were detectable in Japanese in Okinawa aged 30–50 years who may have been in contact with Americans during childhood. However, all the 125 isolates from the younger Japanese population were type B without exception. From this finding, we concluded that JCV is rarely transmitted between human populations.